Gear up for game day! 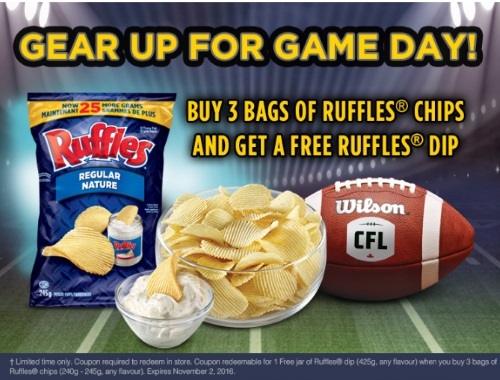 Get a Free Ruffles dip when you buy 3 bags of Ruffles chips with the coupon below! Coupon expires November 2, 2016. Offer available while quantities last.